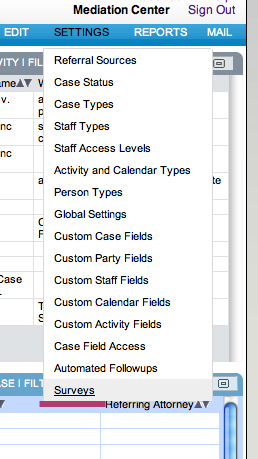 Forms and Surveys are not enabled in the standard Caseload Manager service. Click here if you would like to add Surveys and Forms to your Caseload Manager. Surveys can be used for a variety of purposes including participant satisfaction surveys and mediator evaluation surveys. Once installed, Forms and Surveys are created from the home page by clicking SETTINGS> Surveys. 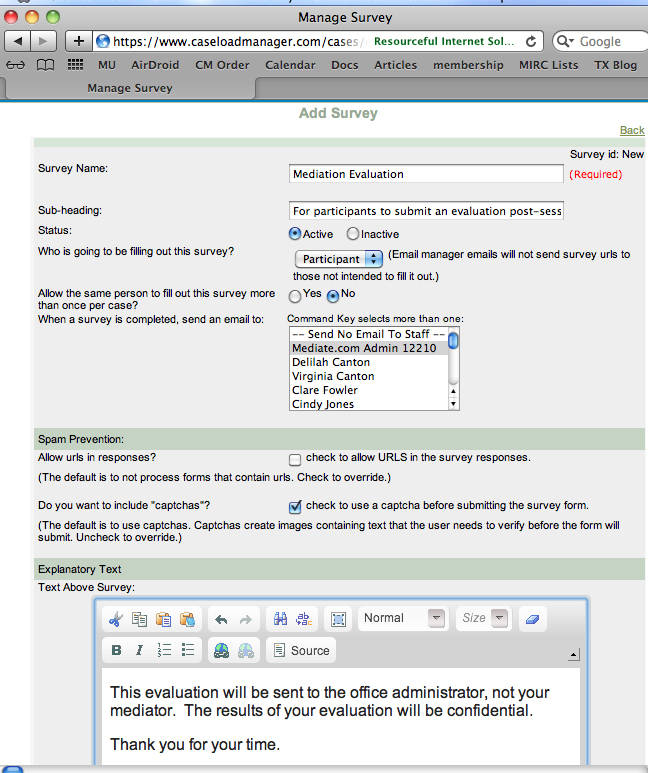 You will then be prompted to create your Survey, including instructions, questions, and multiple choice answers. 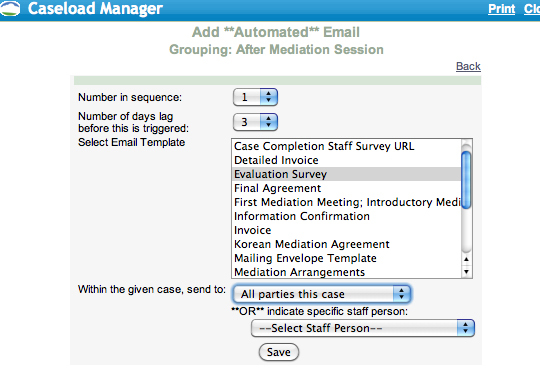 You can choose to have these results automatically sent to an administrator, and you can decide if mediators are allowed to fill out multiple versions of this survey. Find your survey number in the list of surveys--this will become your survey link. You can email invitations to this survey by creating an email template, and including a text substitution which will provide a url link to the survey. 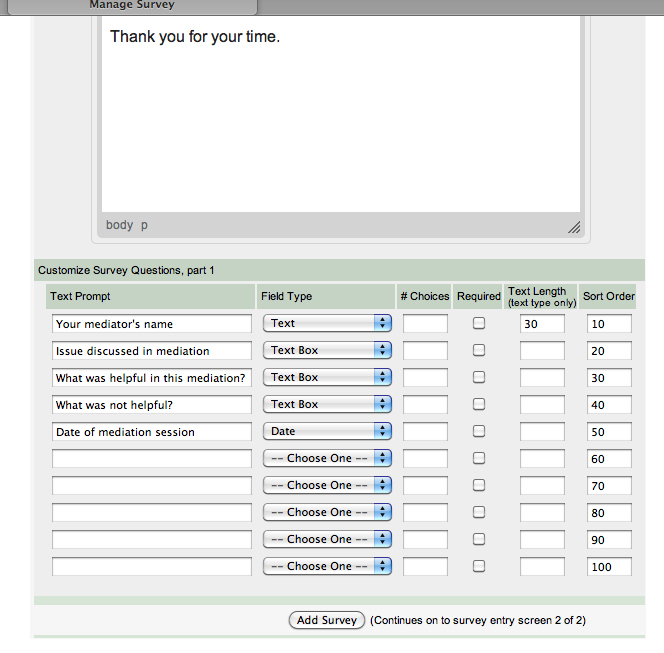 Each Survey will have it's own text substitution, titled according to the number of the survey created. 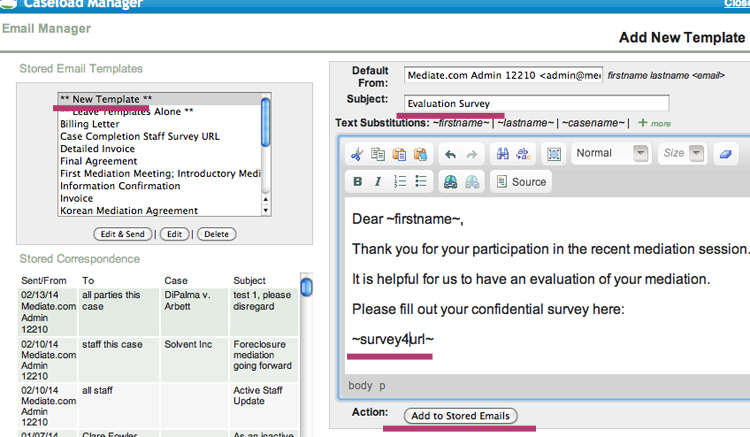 For instance, Survey 1 can be included in a text substitution by typing ~survey1url~. Survey 2 will be ~survey2url~ and so on. When participants receive the email, the word ~survey1url~ will appear as a link which will take them directly to the correct survey. You can even have this survey be part of au aumotated follow-up. 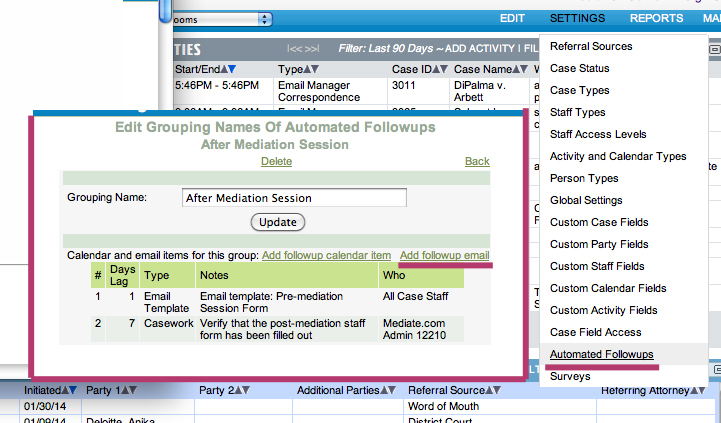 You will need to create a new auto followup under the Settings menu, then select Add followup email. From the Email template list, select the Email Template that you just created.